Do you feel out of sorts around the rest of the gang? Like they're all from this quaint colorful little street and you're like, from Mars or something? Oh, you are from Mars? Huh. We were merely talking about the sense of displacement that people get when they enter into communities that aren't their own. But you're actually from Mars? No wonder you're baffled by our numbers, letters, and microwaves. Well, welcome to Earth, Martian! We must admit, we expected you to look a bit different. Less human and more... well... alien. That's quite all right! It means you'll probably blend in around here just fine. Unless you don't want to blend in. In that case, you might need to wear something to make you look more like an alien. 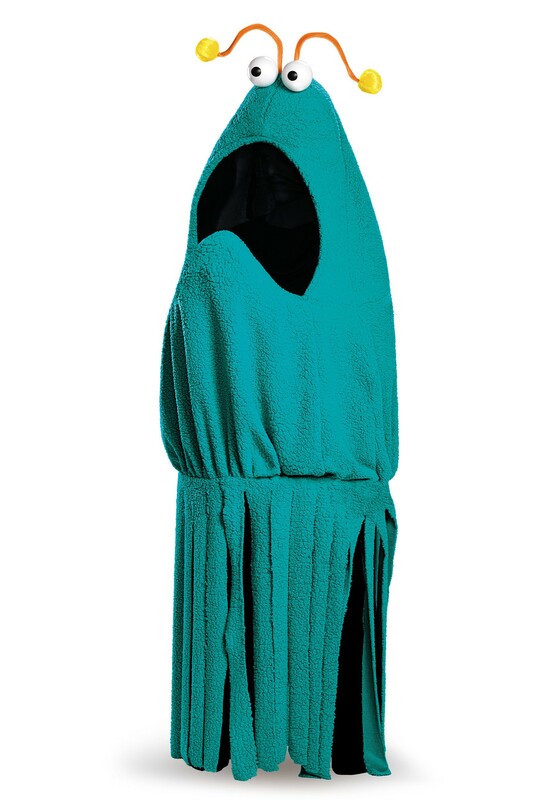 We'd recommend our Sesame Street Blue Yip Yip Costume. If you put this on, people will know immediately that you're a Martian and you won't have to bother with any of the awkward introductions or anything, people will automatically know you're from space. It's made of blue faux fur with a foam padded head and bendable mouth. There's even convenient mesh for your eyes to see through and slits for your humanoid hands! In this outfit everyone will know outer space, so they won't worry when you start meowing at the telephone. Feel free to venture on your merry Martian way! Yep, yep, yep, yep.